Do you have to give presentations at work or speak in public? Are you having panic attacks at the very thought of you speaking in front of everyone else? Is it time for you to do something about this situation? Would you like fast help from an experienced professional hypnotherapists who is also been a seasoned public speaker for nearly half a century? It’s said that fear of public speaking is right up there with fear of death. People get so overwhelmed and afraid about speaking in public but it is really a matter of attaining the right set of skills. Where people get into trouble is when they do not know what those skills are, so they panic and see public speaking as an insurmountable object. As a professional speaker who gives public addresses, lectures and holds workshops I am very aware of the need to be confident, calm and collected when addressing an audience. This is something I greatly enjoy doing and have many years of experience since I was at college 40 years ago. When I was teenager I spoke on my passion which was Tchaikovsky, being a dancer, I was obsessed by his ballets. Since that time, I have spoken on subjects around my professions of health, mental health, sexology, social justice and being successful in business, both academically and in the corporate spaces. All these subjects I have studied extensively. In fact one of the core lessons I teach speakers is speak about what you know and know what you speaking about. So, for these reasons and the fact that in my younger years I was a performer on the stage as a singer and dancer, I am well equipped to help people not only overcome their fear of public speaking but to actually enjoy it. 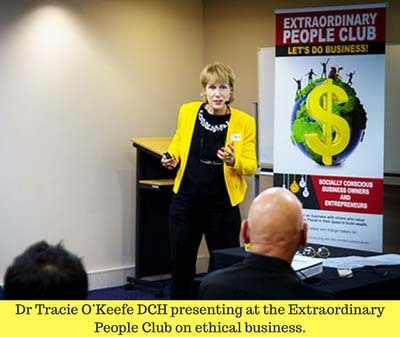 With an ever increasing need for people in business, academia and public life having to give speeches, presentations or seminars, I am always busy helping people overcoming their fear of public speaking. Sometimes they simply need to be trained. We are all, at times, afraid of being judged by our performances, but by using the techniques that I teach in one-to-one sessions, it is possible for you to be a comfortable, confident public speaker. You may have had a time when you got hot under the collar, short of breath, dizzy, panicked and thought absolutely no one appreciated what you were saying when you presented. You may even never have got up to speak before for fear of making fool of yourself. Maybe you believe that everyone else can do the speaking but it is just something you have not been blessed with, but that is not true. With practice you are just as able to speak in public or in meeting as anyone else. I want you to consider that in fact being you is indeed you greatest asset because you are like no one else so that makes you unique which can engage an audience. The very things that you thought you would be judged for, being you, when developed, will be the very things that can command other people’s attention. Of course hypnotherapy is powerful in helping establish a positive, confident mindset that a good public speaker needs. Hypnosis reaches deep down into your unconscious mind and reduces that fear response and enables you to experience skills to help you feel calm and confident when you come to speak. Just as important, however, is knowing the right skills to use or add to your basket of skills, which I also teach in the sessions. Just like any other skill you need to know the elements that make up the competency of speaking as it is a learnt skill and craft. I have coached a large number of public speakers and performers over the years from politicians, television presenters, singers, actors, company directors, and sales people, and I can help you dispel your public speaking fear and give you the confidence you need.